Monday (7/7) was the last club dual meet of the season for SDMS club swimmers. 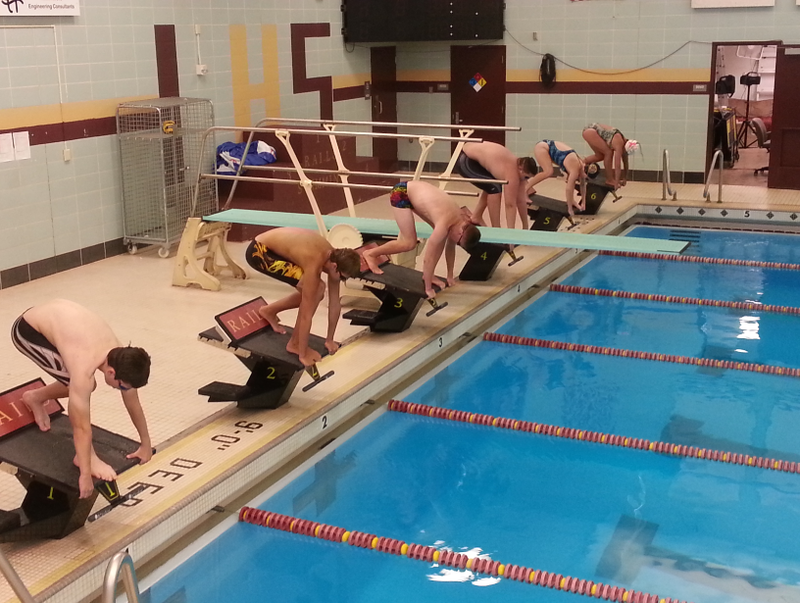 Several Rails swimmers participated, aiming to keep in shape for the upcoming high school seasons. This club meet was a fun one – a rematch of Gray vs. Gold that was filled with great races! In the first meet, the Gray team won by 13 points. This time – it came down to a slim two point victory for the Gray team. Great job to swimmers of all ages! Here are just few meet highlights. Since we can’t recognize everyone’s great swims – be sure to check out the full meet results. There’s just one club swim meet left and it’s the biggest one of the season! The SDMS Championship Swim Meet is Monday, July 21st. The practices leading into this meet are designed to help swimmers achieve off-season best times. This meet is an important part of summer training because it provides a solid benchmark going to into the school year. Plus – the Championship Meet is where swimmers can earn medals if they come in first, second or third for the event. Check the South DM Swimming website for more details on the Championship Meet next week.